Kid approved games in a book that makes math a win win for parents and kids a like! 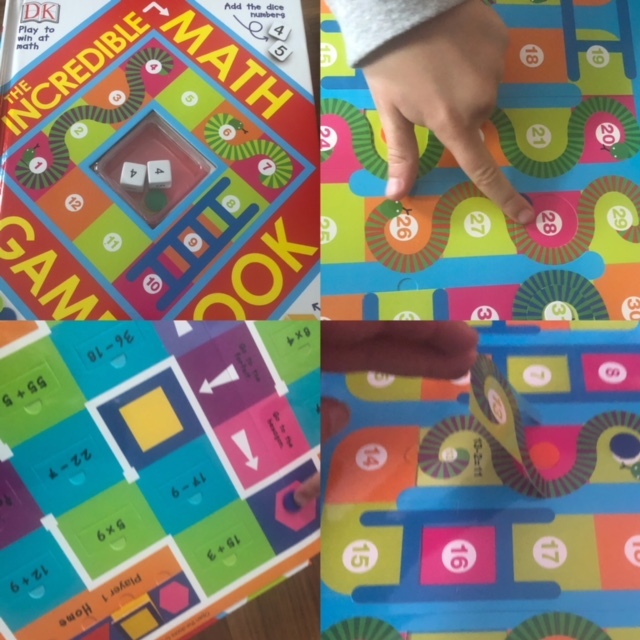 The interactive The Incredible Math Games Book will capture and hold your child’s attention, making practicing math and play one and the same. With games like Zip to Zero, Shape Stepper, Math Maze, Times Tables Tug-of-War and more, kids will learn key math concepts while having fun. Everybody wins! You can roll the dice, move the counters, lift-the-flaps, and learn with this fun-filled math game book designed for children ages 6-9. Math can be a very touchy topic for parents and students. The way math is taught in schools is quite different now (and the way my eldest learned math in grade two is now different then how my youngest is learning it) and sometimes we all struggle a bit. If you have a child going through a rough patch with math skills, it can be quite difficult at home and at school – they will not want to learn, may yell and even refuse to do the extra work sheets that come home. I know that my kids usually learn the best when they are engaged, having fun and being hands on (I am the same way too – I am definitely a hands on learner). I had fantastic teachers throughout my elementary and high school years and what I remember the most is that they made the traditionally tougher classes of math and sciences FUN. Whether that was through games, hands on labs – the key was to grab our attention, get us laughing and in turn learning. 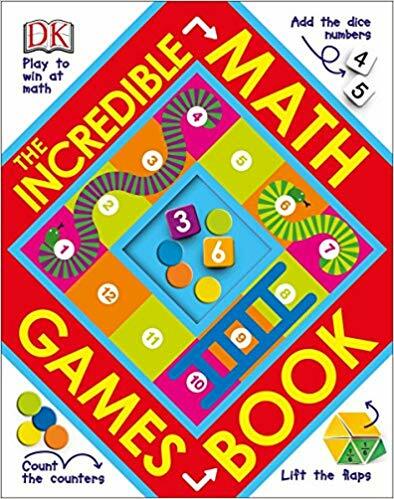 The Incredible Math Game Book incorporates important math skills with fun games, thinking questions and hidden answers. We were able to play a version of snakes and ladders, mazes, counted backwards to zero and so much more but it all centered around basic math skills of addition and subtraction. We could open up the flaps to reveal hidden questions or answers to some of the tougher questions. I loved that it got our minds working each time, even when we played the version of snakes and ladders – it was us prompting our son with questions like ‘you rolled a three – seventeen plus three equals?’ and him giving us his answer in order to move his marker. Even though we were having fun and playing games, he was still learning (and it even got my mind working – I am not the greatest at counting backwards!). The Incredible Math Game Book is an excellent teaching tool for you to have in your home that beats traditional work sheets hands down. Disclosure: I received a copy of this book in order to facilitate this review. All opinions are my own.